Why didn’t the skeleton go to the ball? 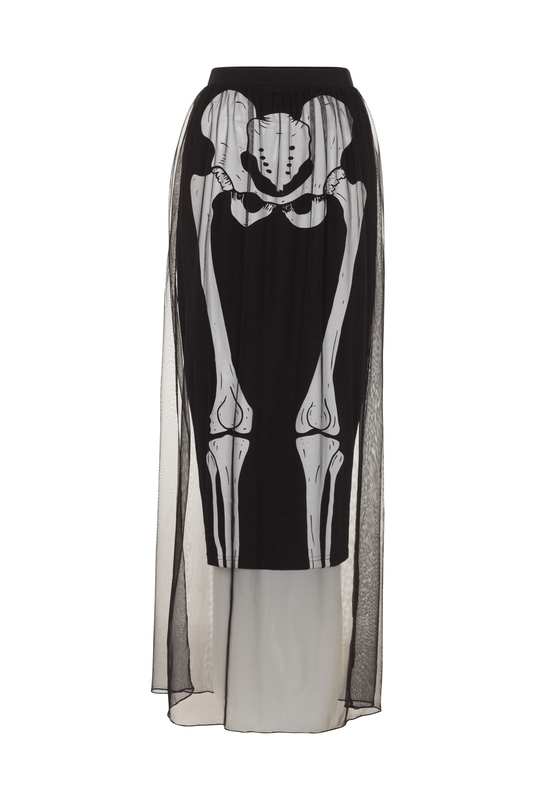 Because she wasn’t wearing our stunning Skeleton Layer Skirt. 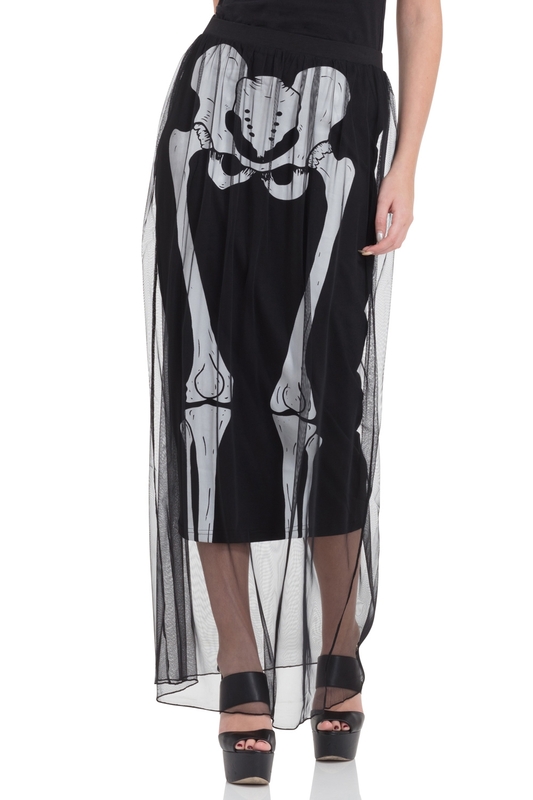 It may be a new addition to the season but this hauntingly beautiful skirt has officially become a Jawbreaker classic with it’s mesh overlay and skeletal print. Love the style? 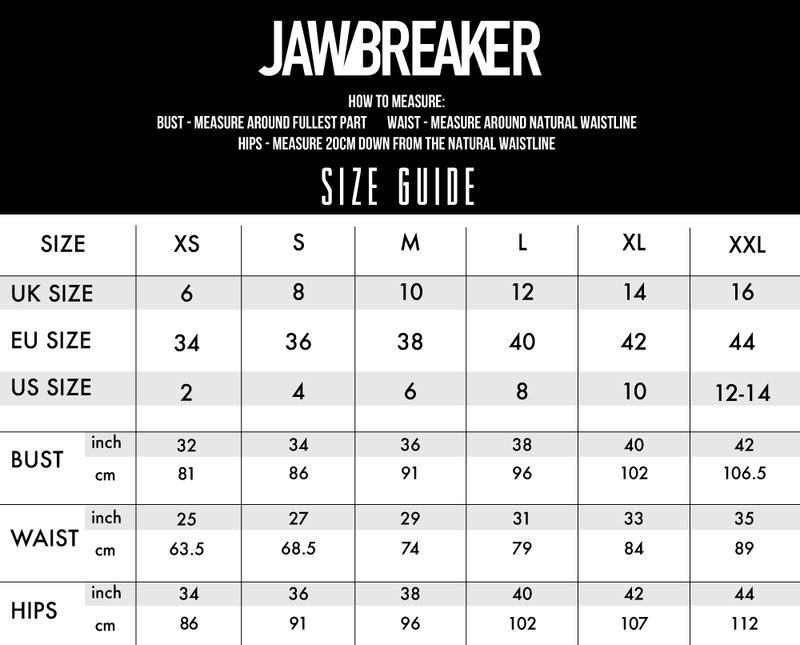 Mesh overlay features heavily this season. Check out our Tartan Mesh Skater Dress and Branch & Crow Double Layered Dress!